Sure, we could (and have) done sweepstakes to give away free Apple Macbooks, iPads, iPhones and Apple Watches. But most of you may already have most of those groundbreaking Apple devices anyway. 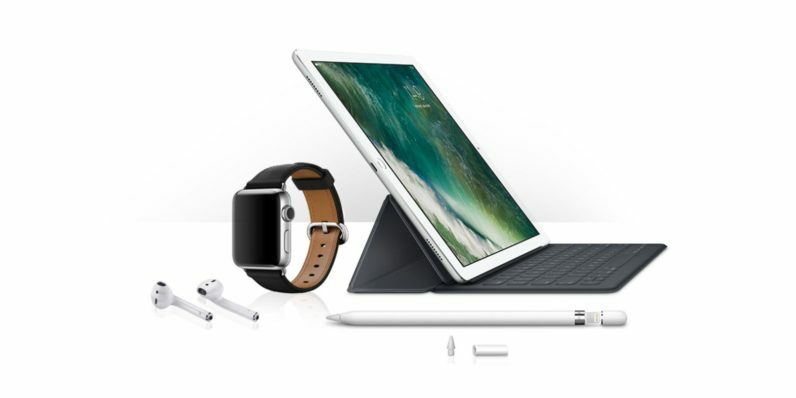 So instead, how about we get your Apple accessory game on point in one broad stroke if you win this Elite Apple Accessories Giveaway from TNW Deals. If you’re the lucky winner of this drawing, you’ll get a whole bundle of cool Apple add-ons that’ll expand the power of your Apple devices exponentially. Your gaggle of Apple swag will include: An Apple Pencil, the cool digital stylus that takes your iPad to another level; an Apple Smart Keyboard, the portable keyboard that also expands the capabilities of your tablet; a pair of Apple AirPods, the cool wireless Bluetooth-enabled earbuds; and an Apple Classic Buckle Leather Strap, to lend some major style to your already cool Apple Watch. You’ll get all that — and it requires virtually no effort to get entered for the sweepstakes. Just use a valid email address to fill out your entry and you’re in the running. You can even score yourself a second entry when you talk a friend into entering as well. Get your entry in today — contest registration ends on April 8, 2017. The Elite Apple Accessories Giveaway is open to all legal residents of the United States who are 18 years of age or older as of the date of entry.